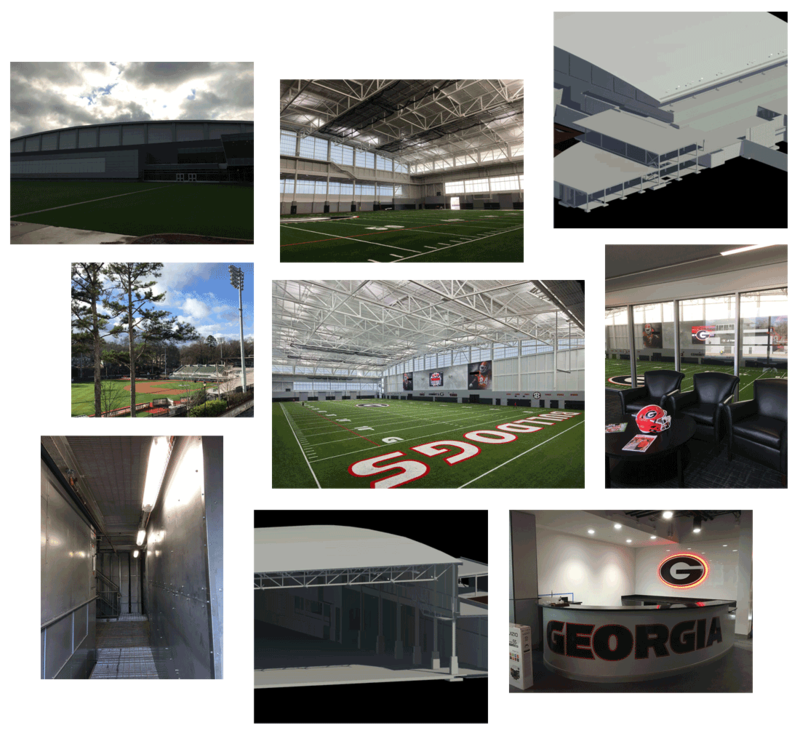 The Indoor Athletic Facility was completed in February of 2017. It is located on the Woodruff Practice Fields and connected to Butts-Mehre Heritage Hall. The facility is approximately 140 yards long, 80 yards wide and 76 feet high and includes an artificial turf football field, motorized netting for multiple sports, track and field practice area, and LED field lighting.